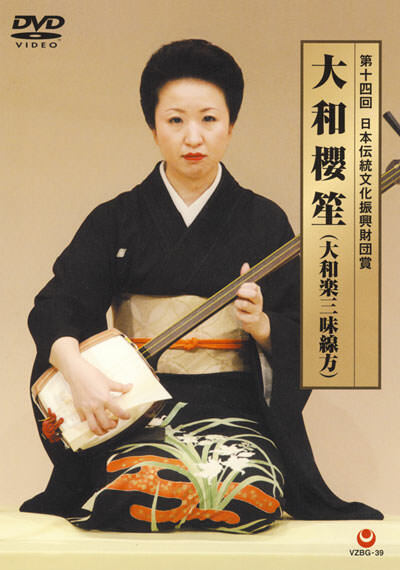 The Award winner of this year is Ms. Yamato Ôshô (b.1977), yamatogaku (shamisen music) player. Yamatogaku, one of the most beautiful mixtures of traditional and contemporary musical arts, was established in 1933 by leading artists that aimed to create a new style vocal music based on traditional repertoire of the Edo period. Since then, this music rapidly flourished among the traditional dancers and Kabuki actors till today. The winner has formed several yamatogaku parties to promote it not only by her outstanding playing but also by her excellent yamatogaku compositions.